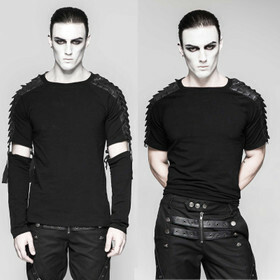 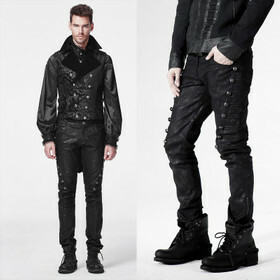 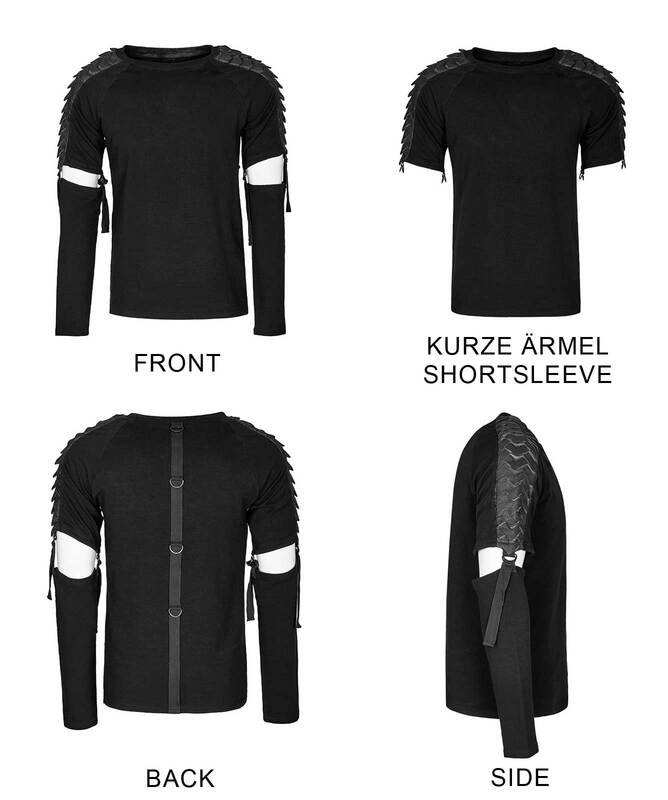 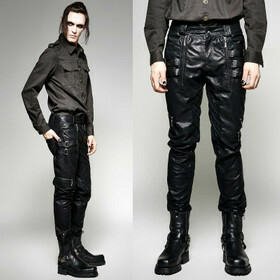 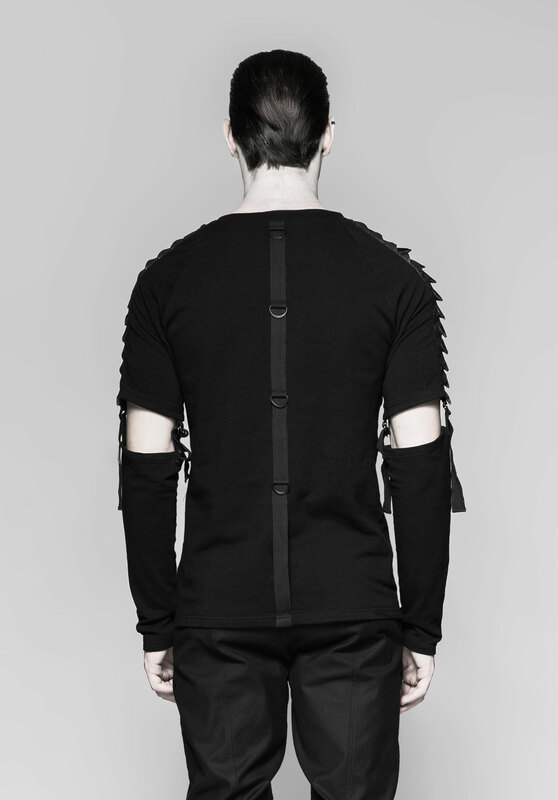 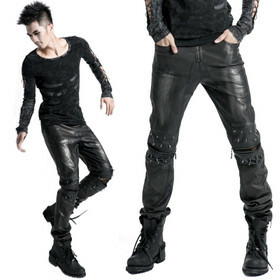 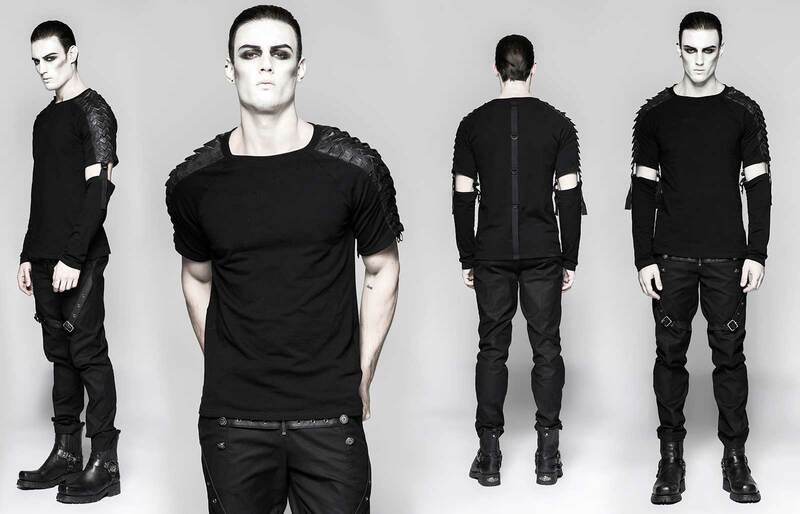 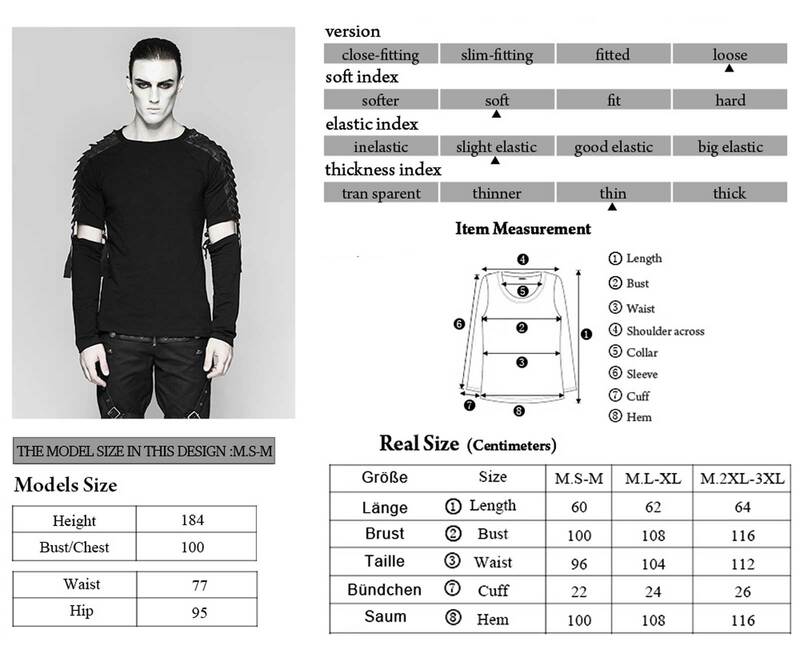 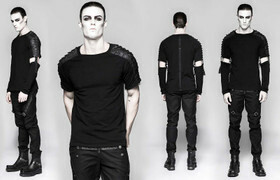 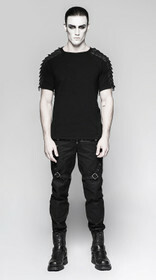 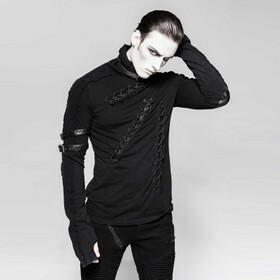 2-way gothic longsleeve shirt by Punk Rave. 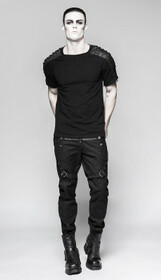 Heavy quality deep black t-shirt-fabric with lizard-like contrast on the shoulders. 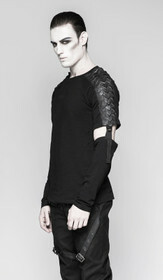 The lower sleeves are detachable. 2-way gothic longsleeve shirt by Punk Rave. Heavy quality deep black t-shirt-fabric with lizard-like contrast on the shoulders. 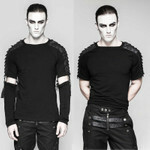 The lower sleeves are detachable - so you can wear it as short sleeve shirt too. 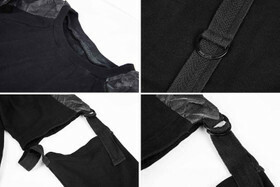 Vertical back bar with D-rings.